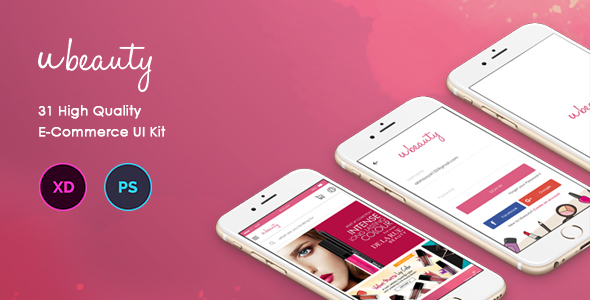 Ubeauty UI kit designed for brands and designers, Package includes 31 PSD and XD files. The whole pack is oriented towards E-Commerce and Beauty makeup segment, and it covers all the screens that you need to build a beautiful app. Ubeauty is designed in Photoshop or XD with a very clean, modern style. Files are well organized and named accordingly so its very easy to change any and all of the design. Customizable Layers, Fonts & Colors. Compatible with Photoshop or XD. Please feel free to contact me if you need any help. Here is my email id: syalfreelance@gmail.com Please don’t forget to rate this item if you like it. Thanks a lot!